This statistic shows the results of a survey conducted in the United States in March 2017. 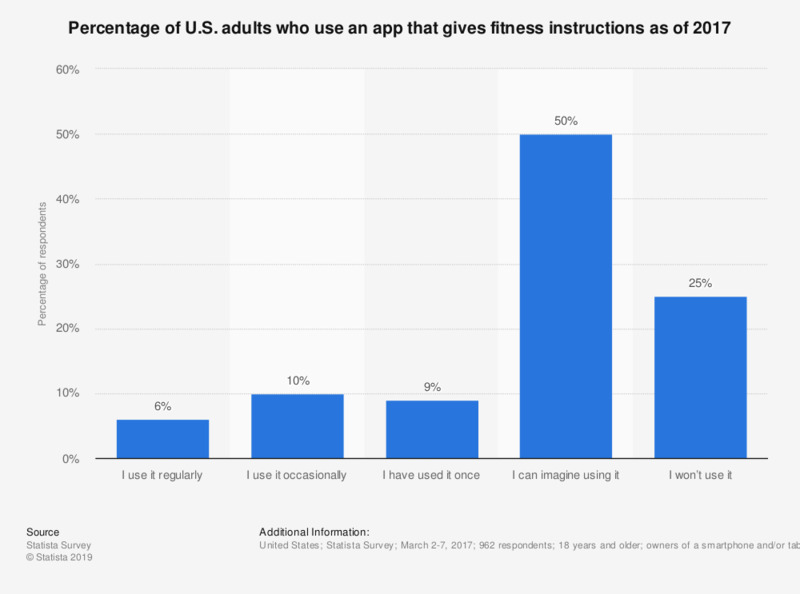 U.S. adults were asked if they could imagine themselves using an app that would give them fitness instructions. In total only 6 percent of respondents said that they use an app that gives them fitness instructions, while 50 percent of respondents said that they could imagine using an app that would give them fitness instructions.